Simply Stylist, a company designed to connect A-list fashion influencers with consumers, hosted a VIP event this past weekend in Los Angeles. 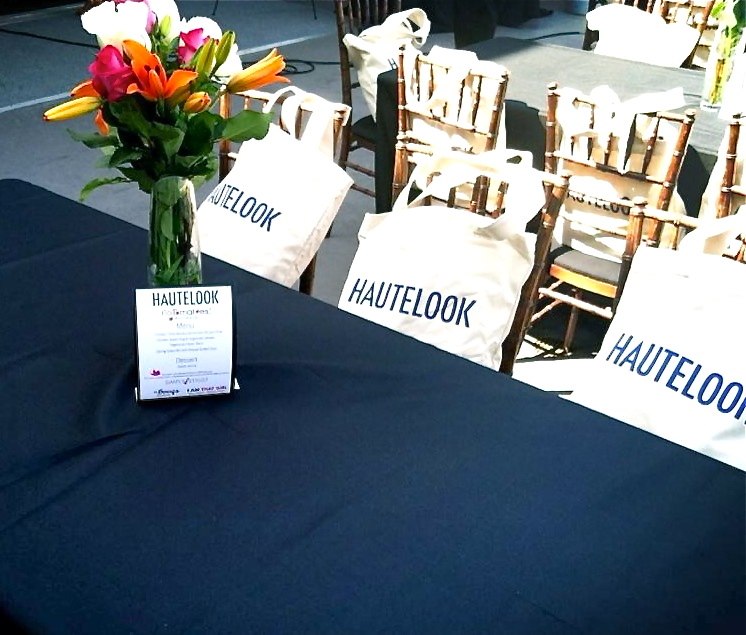 Starting with a networking lunch sponsored by HauteLook followed by a VIP Fashion Panel. The panel was made up of fashion figures including celebrity stylist Brad Goreski (also star of Bravo's 'It's A Brad Brad World'), Whitney Eve designer and TV personality Whitney Port, style editor Melissa Magsaysay, Louise Roe host of the NBC's sensation 'Fashion Star' and fashion blogger Aimee Song of 'Song of Style'. The panel discussed their early beginnings in the industry as well as current trends and their thoughts on how to utilize them! Brad's thoughts were that anyone can be safe in pulling off black and white without the fear of doing it wrong. Showing hints of undergarments under printed sheer blouses is one thing. There is a way to go too far with this trend and show too much. Louise Roe adds that it doesn't seem to be a trend that is here to stay, so don't stock pile on those button ups! The masculine meets feminine trend is seen in many of the styles and pieces for Spring and Fall '13. A rugged meets chic trend of mixing oversized button ups with a longer knee length short and red lips with messy hair. To top it all off, the smoking slipper is at its height in popularity. The panels suggestion for this trend is to invest in tailoring, Melissa Magsaysay notes "You don't want to look like you completely raided your boyfriend's closet." *See more styles and trends created by Everything Hauler on Polyvore!